Steve provides over 20 years of IT experience and management to The Lyle Company. Steve is a Microsoft Certified Professional in Network Implementation and Administration, and he has solid experience with Microsoft Windows, Apple Macintosh, and Linux client/server environments. 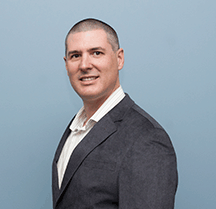 Having supported the shipping, retail, and wireless industries, Steve has a broad and deep understanding of network and server administration, and network security. Steve directs and oversees Lyle’s IT Department, managing IT vendor relationships, various databases, and other IT related projects within Lyle. Outside of the office, Steve coaches little league baseball and serves as a mentor to youth within the community.